disconnect (triggered when a session is finished). Note: If you omit the destination module, a default value main is used. Connect to the remote computer in "headless" mode. When this mode is enabled the process is started in background and no user interface is shown to user. This type of connection only supports port forwarding and system information functionality. This mode is automatically enabled when using RDP/SSH tunneling as described here: Remote Desktop Connection (RDP/SSH). Use this command in combination with --on-disconnect event to lock the unattended computer after you disconnect from it. When you use this command on connect event, it will start desktop streaming. This command instructs the ISL Light not to ask the user if he wants to view the remote desktop. When you use this command on connect event, it grants desktop control. The grantF12 parameter is used for granting control in the compatibility (F12) mode. If you omit grant or grantF12 parameter, the default value (grant) is used. 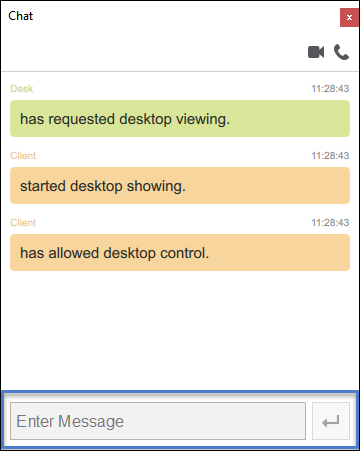 If you specify control=disable, it is not possible to control the remote computer, only view. This command is used to specify the location of the desktop streaming bar - it can be on the left, top, right or bottom side of the desktop. Note: Desktop streaming bar can not be at the same location as the Windows task bar (usually it is at the bottom) - if you specify the same location, ISL Light will choose an alternative location. On Windows 95, Windows 98 and Windows Me you cannot set the position of the desktop streaming bar to left or right. If set to true, the desktop streaming bar is not shown. 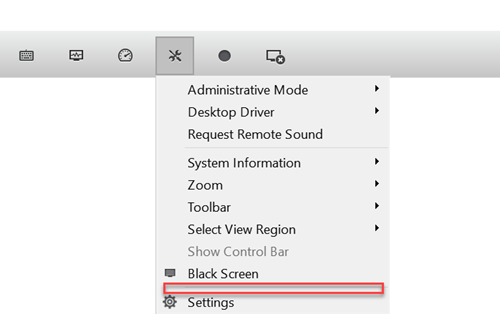 This command (when set to true) instructs the ISL Light to enable black screen when desktop is being shared. If set to true, the local user cannot take control. If set to true, desktop background is not removed when streaming desktop. Use this option to switch to high quality mode (this means 64k colors, ISSC triple @60%). Select which monitor should be streamed when session is started. Note: ISL Light does not support the primary and secondary selectors, only a numerical value: 0,1,2,etc. Stops the ISL Light session automatically when desktop sharing is closed. Windows only. By default we disable effects on Windows to increase performance. Windows only. By default we enable font smoothing to increase performance. 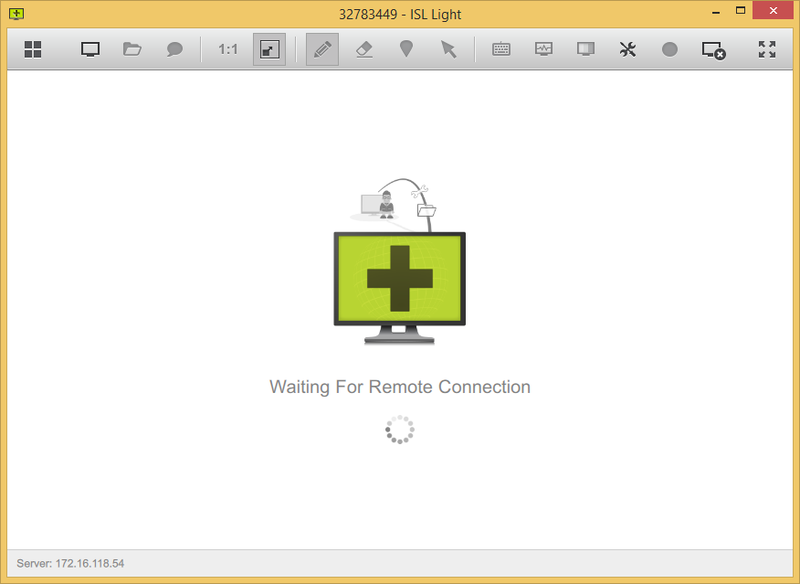 Disable Restart and Resume functionality in ISL Light or AlwaysOn session. If you enter the all parameter, then Restart and Resume functionality is disabled and you will not be able to enable it during the session. If you enter the parameter true then Restart and Resume functionality is disabled, however you can make a request during session to enable it. Use this command to change the location where the transferred files should be saved. When you use this command on connect event, the file transfer plugin will start transferring the specified file(s) - separate multiple filenames with semicolons. When you use this command on connect event, it will start streaming the local audio recording. When you use this command on connect event, it will start streaming the local video recording. When you use this command on connect event, it will load the recording plugin, start it and ask the remote user if he or she allows recording. If silent or true is specified, the session will be recorded without user consent. If silent is specified, the user will not be offered to view the recorded session after the session has finished. Recording starts even if silent or true are not defined. This option will disable the user's ability to stop session recording. You can define the file name for the recording. The default is set to Host and Time. This can be changed around depending on what criteria you wish to include in the file name. You can use any of the parameters listed below. These parameters can be used within the recording commands. Allows you to disable Copy URL option when clicking on a generated session code in ISL Light. Allows you to disable the Remember me checkbox when logging into ISL Light. Allows you to remove the "Join a Session" option in the Dashboard. 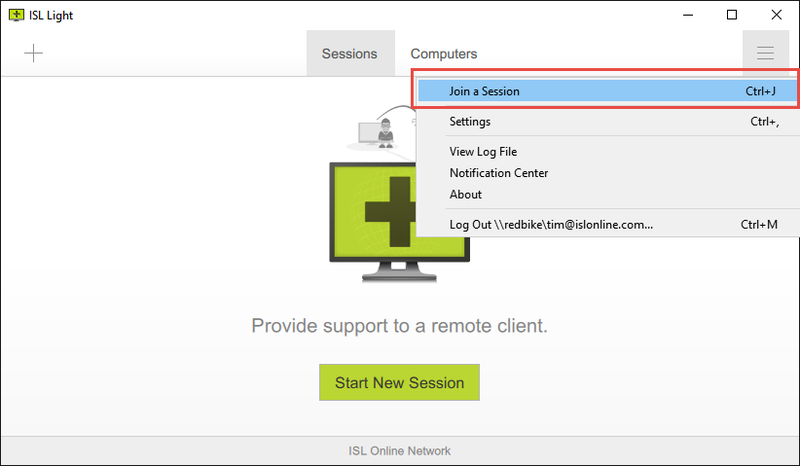 Remove the session Edit dialog option from ISL Light Sessions tab, where user can edit the Session Name, Client's Email and Notes about the session. 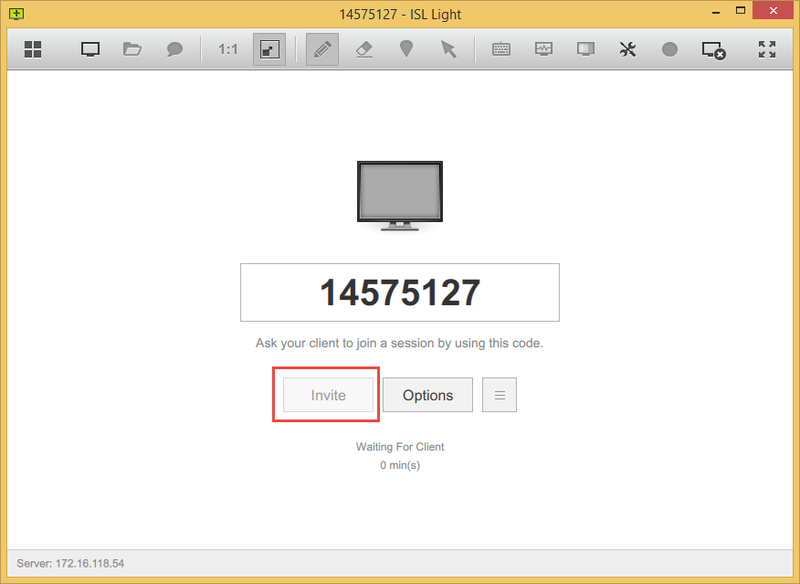 Disable the Invite option, to invite a client into a session via email from ISL Light. Disable the Transfer Session option in ISL Light. Disable the prompt allowing the user to save the access password for the unattended computer. Disable the Session flow windows which displays the session code and additional possibilities to invite the client into the session. Set the chat to read-only mode. The supporter will still still see all the event notifications and messages from the client but will be unable to enter and send any text via the chat dialog. Disable "Set Unattended Access" feature. This will remove "Set Unattended Access" menu entry from the Session toolbar -> Tools menu. 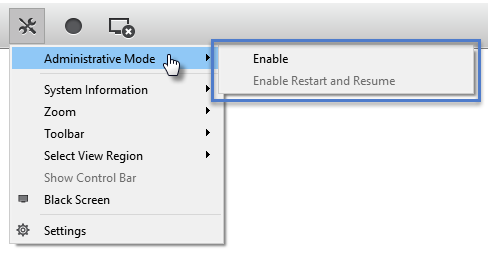 Disable Remote Desktop Tunneling plugin. This will also remove "Connect via..." menu entry from the "Session toolbar -> Monitor" menu.